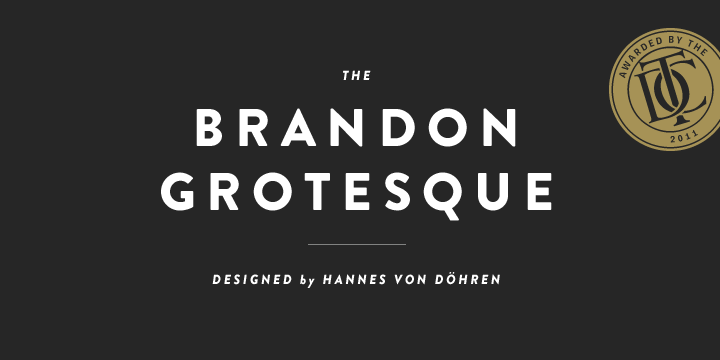 Brandon Grotesque is a member of the sans serif type family. It comes with 6 weights and matching italics. Created by Hannes von Döhren, the font is heavily influenced by the geometric-style sans serif faces. These typefaces were very popular during the 1920s and 30s. The font is completely based on geometric forms that have been modified and rectified to ensure enhanced legibility. Brandon Grotesque is known widely for its archetypal functional look combined with a warm touch.